Barley, which belongs to the same family as wheat and oats, is the oldest cultivated cereal crop. In ancient times, barley was considered to be the symbol of strength and military valour, to such an extent that gladiators were known as hordearii, or “barley-eaters”. However, barley was widely replaced by wheat, once our ancestors discovered the technique of making leavened bread. Nowadays, only one third of the worldwide barley production is used for human consumption, mainly for the malt in beer and whisky. 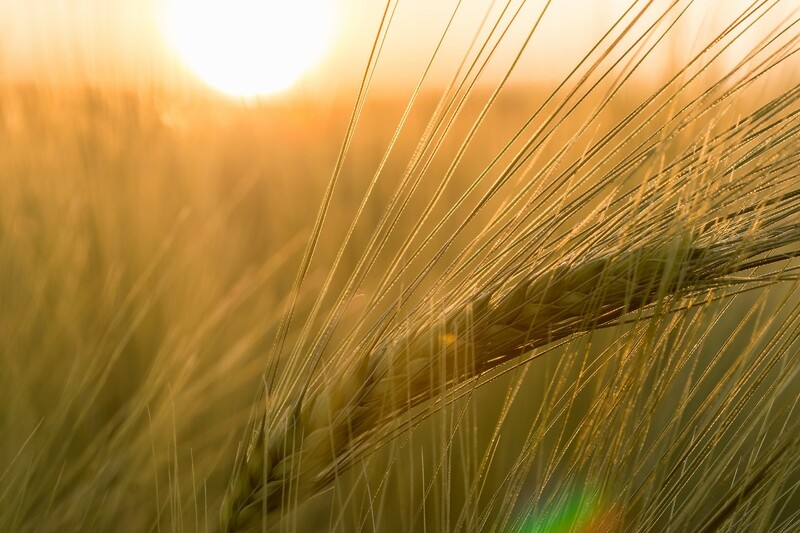 Canada ranks as the second largest barley producing country. Barley is rich in soluble fibres, whose consumption can contribute to intestinal health and to the standardization of glucose and cholesterol levels in blood. In stores, hulled barley is preferable, because it still has its bran and germ, unlike pearl barley, which is further processed and therefore less nutritional. On the other hand, pearl barley takes only 30 minutes for cooking, which is less than half the time required for hulled barley. Include barley in your meals by using it instead of rice, in salads, in a pilaf or in soups. Originally published in the Journal de Montréal on November 14, 2009.